As part of the COMMUTERM project, we played around with isiZulu terminology development using “the” “traditional” way of terminology development (frankly, having read up on it, I don’t think there is an established methodology), which were interesting of themselves already. We have gathered relevant computing and computing literacy terms from extant resources, conducted a workshop with relative experts (typical way of doing it), executed two online surveys through an isiZulu-localised version of Limesurvey, and completed a voting experiment among computer literacy students. The results and analysis has been written up for a paper, but this will take some time to see the light of day (if it is accepted, that is). In the meantime, we do not want to ‘sit’ on the list that we have compiled: so far, there are 233 isiZulu terms from 8 resources for 146 entities. At the time of writing, this is the largest list of entities with isiZulu terms for the domain of computing and computer literacy. The list is available in table format, sorted alphabetically by English term and sorted alphabetically by isiZulu term. Except from a few (very) glaring mistakes/typos, the list has not been curated in any way, so you have to use your own judgment. In fact, I don’t care which terms you’d prefer—I’m facilitating, not dictating. Contributing to the Limesurvey localization for isiZulu, so that not only the text in two existing surveys will be entirely in isiZulu, but also any survey and the back-end admin. Members of the African Languages department at UKZN are especially interested in this so that they will be able to use it for their research. The computer literacy surveys are still open (100% isiZulu interface), so you can still choose to do either this one or that one (but not both). Participate in the crowdsourcing game ([link TBA]), which will be launched in February, given that it is still summer holidays for the students at present. 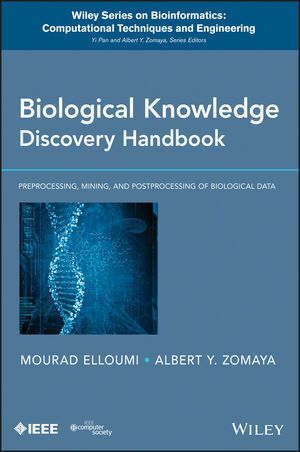 Just a quick note that my book chapter on “Ontology-driven formal conceptual data modeling for biological data analysis” finally has been published in the Biological Knowledge Discovery Handbook: Preprocessing, Mining and Postprocessing of Biological Data (edited by Mourad Elloumi and Albert Y. Zomaya). A summary of the chapter’s contents is described in an earlier blog post from little over two years ago, and I’ve put the preprint online. The whole book is an impressive 1192 pages consisting of 48 chapters of about 25 pages each, which are grouped into three main sections. The first section, Biological data pre-processing, has four parts: biological data management, biological data modeling (which includes my chapter), biological feature extraction, and biological feature selection. The second section, biological data mining, has six parts: Regression Analysis of Biological Data, Biological Data Clustering, Biological Data Classification, Association Rules Learning from Biological Data, Text Mining and Application to Biological Data, and High-Performance Computing for Biological Data Mining. The third section, biological data post-processing, has only one part: biological knowledge integration and visualization. (check the detailed table of contents). Happy reading!